We at HVA are so pleased to announce that our 10U Storm - Schultz team got the call to Majors at the beginning of this fall season! This team has continually been the class of their age division since their team started with their 8U season. They have kept their team together with 8 of the boys playing together since the HVA Rangers in our Recreational program. They do that by having great coaches and players who value ideals such as team, commitment, sacrifice, humility, fundamentals, faith, and fun all above winning. But boy do they win having gone 28-11-5 this last season, taking home hardware several times. They volunteer together as a team doing things such as Feed the Hunger where they help prepare 25,000 meals for folks in need. They have also been the Texas Rangers Youth Team of the month. 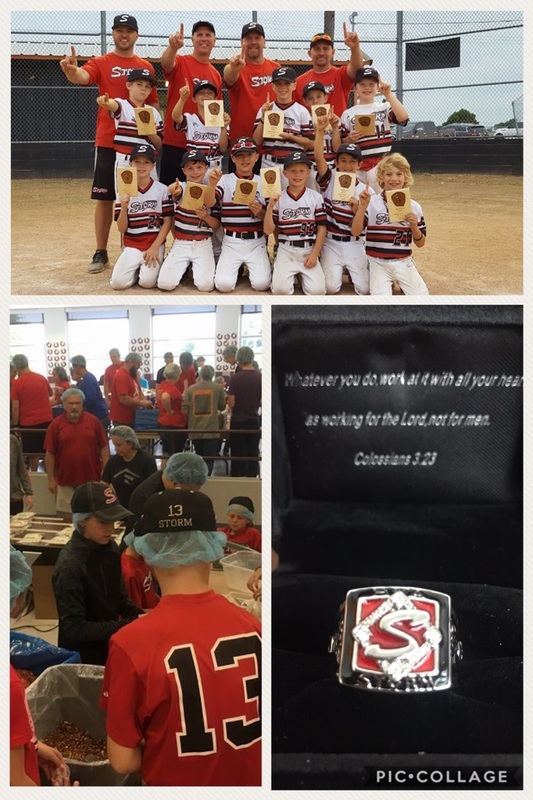 Earlier this season the team was presented their Storm Majors rings - rings given to all of our teams who reach the highest level of Youth Select Baseball. So again, congratulations to the coaching staff led by Dustin Schultz and all of the players and families. You make Storm Nation proud!